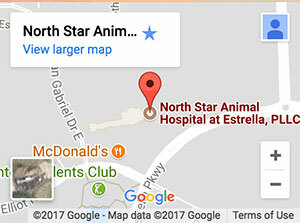 North Star Animal Hospital at Estrella is proud to serve Goodyear, Avondale, Phoenix, Buckeye and other surrounding areas. We are dedicated to providing the highest level of veterinary medicine along with friendly, compassionate service. 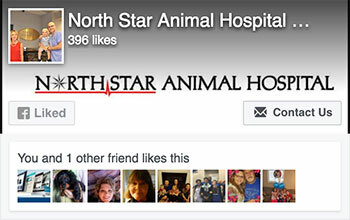 North Star Animal Hospital at Estrella welcomes new clients to our veterinary facility. We are strong advocates of communication and will partner with you to solve your pet's health care issues while providing the best care available.